First block of East Main street, left side, model. 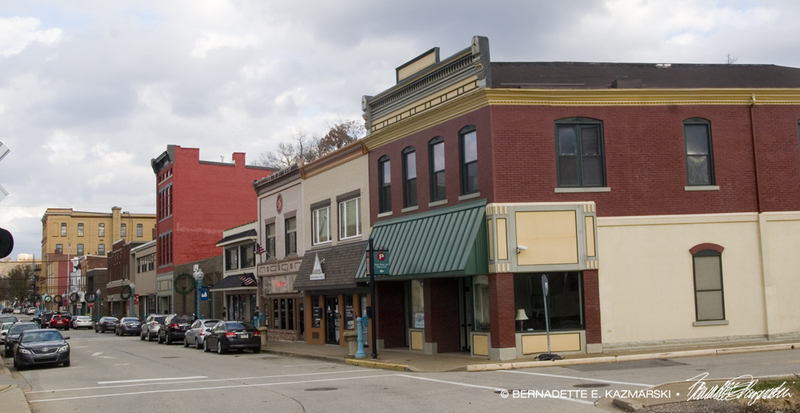 I photographed the detailed handmade model of Carnegie’s Main Street last week, and planned to get photos of the same streets today to show as a comparison. The model was made over the course of about 30 years and is a mix of times in the history of Carnegie, beginning in late Victorian times after the street had just been founded, then updating to the 1940s. I chose both sides of the first block of East Main Street, just after it crosses Chartiers Creek, to start. It’s difficult to get the same angle—the street curves slightly just before this first block, and the street is actually quite narrow. The model has no curve and the space where the street would be is wide enough to walk through while people are looking at the model. At the same time, I couldn’t back up far enough to get the whole street in focus on the model, in today’s reality that wasn’t a problem. Here they are for comparison. This side is a little easier to match up today. 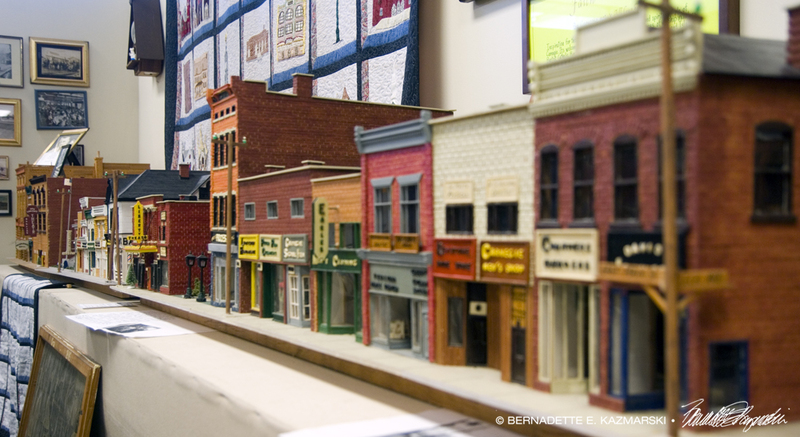 First block of East Main street, right side, model. First block of East Main street, right side, today. This side is a little trickier because it has a few more buildings missing. First block of East Main street, left side, today. I Used to Work There!